You'd like to spend your wellness holiday in Salzburg County? 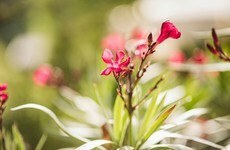 Then come to the very best address for relaxation and wellbeing: Ebner's Waldhof by Lake Fuschl. 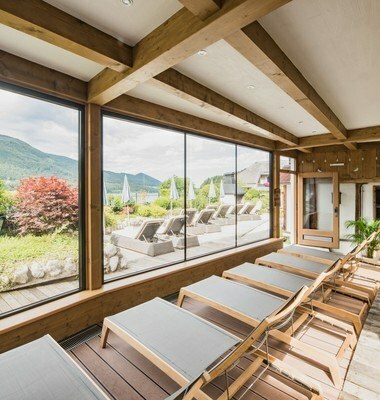 Our 4,000 m² wellness landscape, the Waldhof Spa is the largest private spa area in the Salzkammergut Lake District. 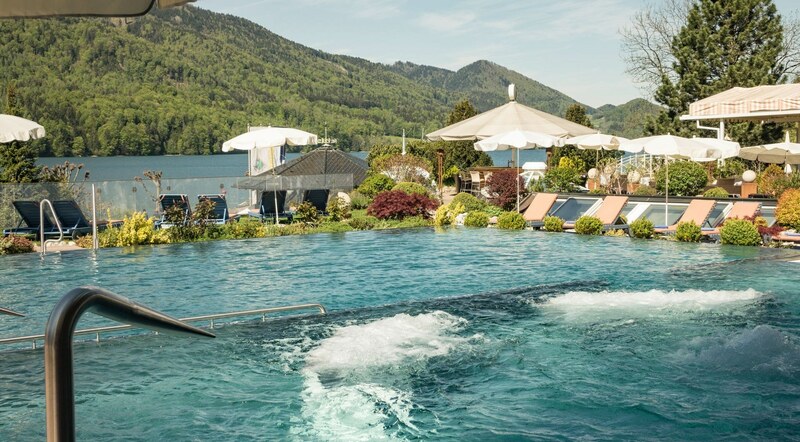 Right on the shores of Lake Fuschl the hotel is ideally located for a wellness holiday that can be perfectly combined with outdoor activities. Hours of relaxation, pleasure and exquisite comfort. 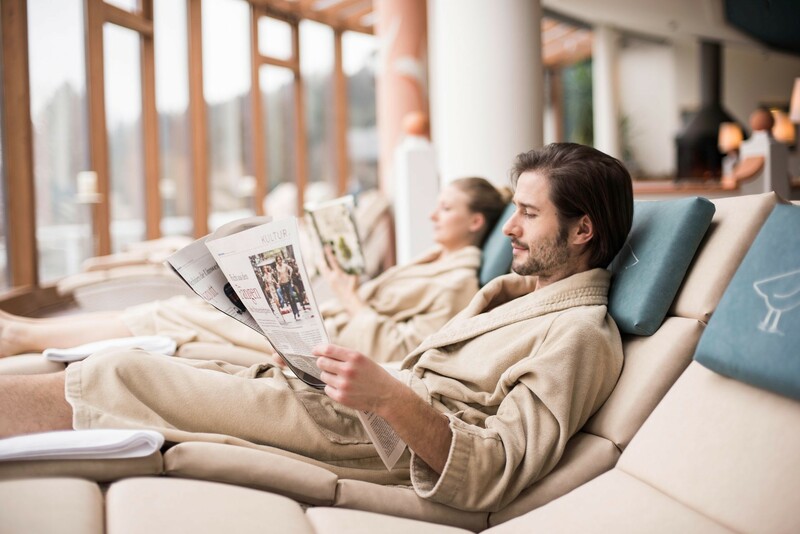 The wellness area at Ebner’s Waldhof has so much to offer: A variety of different saunas, sport and feature pools as well as soothing massages and beauty treatments. 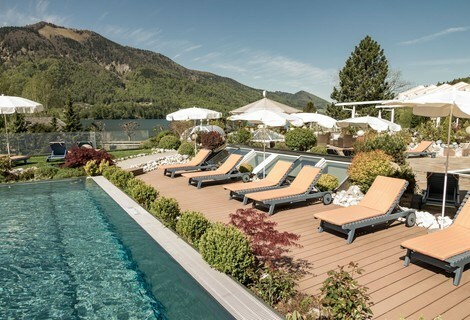 Sit back, relax and indulge yourself in pure pleasure on your wellness holiday in Salzburg County and enjoy the wonderfully unspoiled countryside around Lake Fuschl. 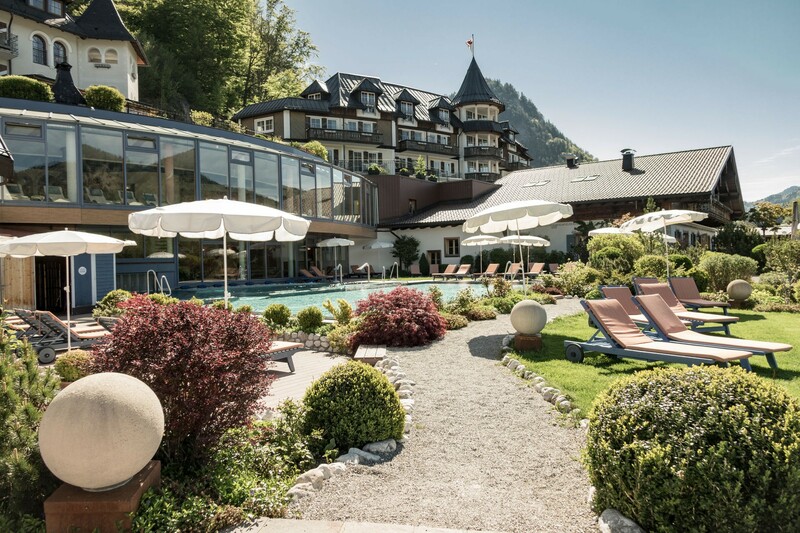 It doesn't matter whether you are looking for a refreshing dip in the middle of a hot summer's day or a warm and soothing soak in the whirl-pool in the evening - the Waldhof Spa offers wellness and relaxation for every preference and situation. 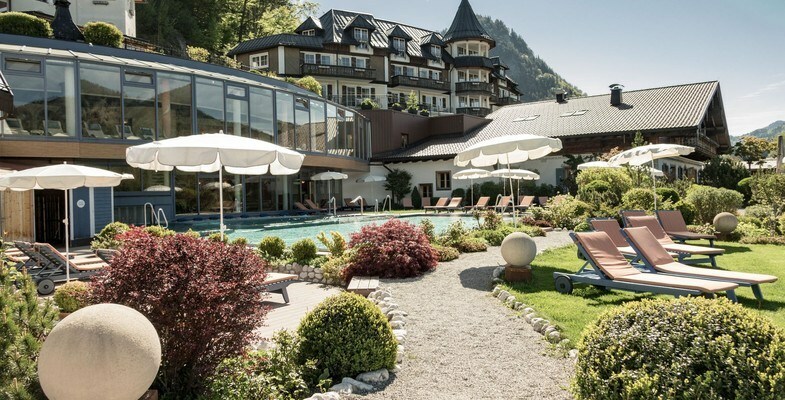 The multifaceted Water World at Ebner’s Waldhof by the lake has an indoor swimming pool and whir-pool with under water massage loungers and there is also a 35m² sport-pool, ideal for a healthy early morning water work-out. 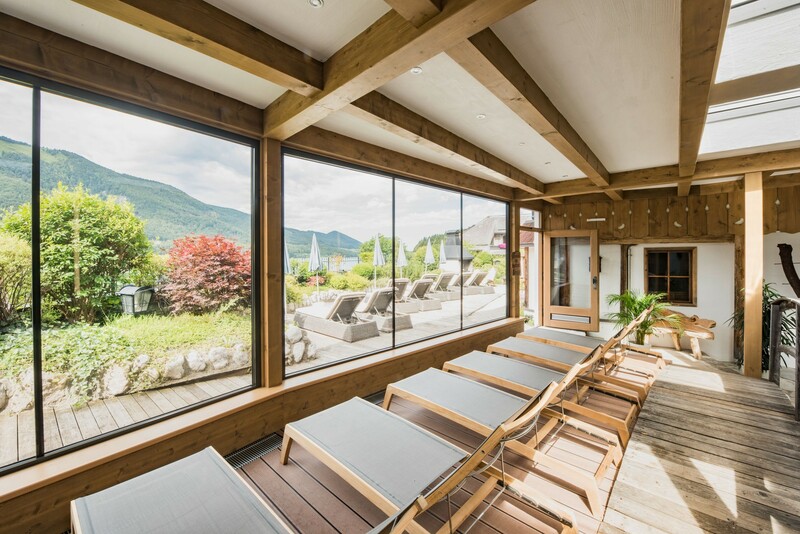 For cooler evenings or simply to unwind after an action-packed day in the surrounding countryside, the spacious Sauna World at Ebner’s Waldhof is ideal. 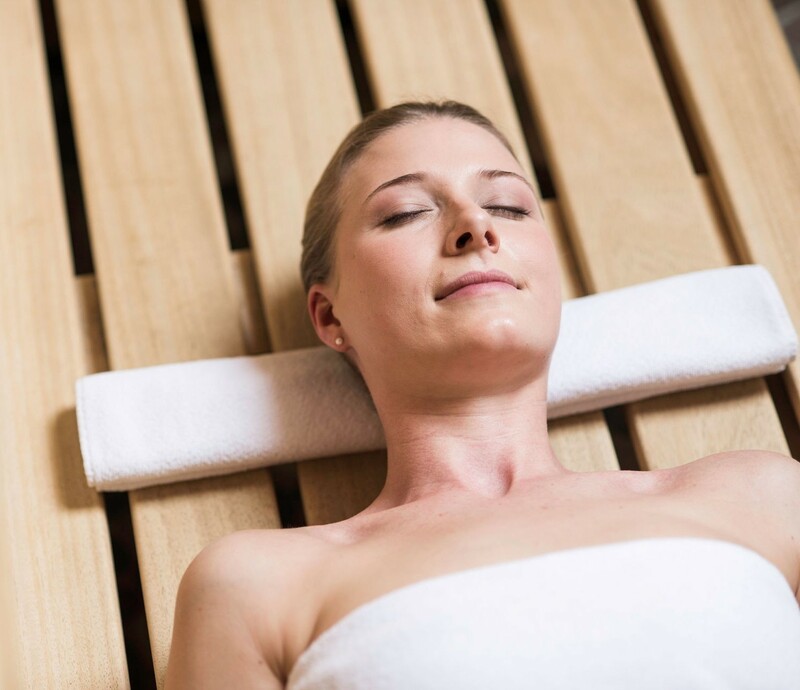 There are a variety of different saunas to choose from including a Finnish sauna (90°), a saunarium (60°) or and infrared cabin sauna (70°). Alternatively you can treat your lungs and skin by visiting the salt-water steam bath (60°) and inhalarium. In the summer your skin has a lot more to cope with due to its exposure to sun and water. So your summer holiday at Ebner's Waldhof is the ideal opportunity to help your skin with one of our soothing body or beauty treatments. In addition you can relax body, mind and soul in our fantastic sauna landscape, pool area and inviting relaxation corners with comfy loungers and fantastic views. The 4,000 m² of wellness facilities ensure wonderful hours of complete wellbeing. Im hoteleigenen Fitnessraum stehen Ihnen moderne Cardio- und Trimmgeräte zur Verfügung. Doch der eigentliche Fitnessbereich wartet vor den Hoteltüren: Die Natur um Ebner’s Waldhof bietet sich im Sommer ideal für Wanderungen, Radtouren oder andere sportliche Aktivitäten an der frischen Luft an. Wir haben den Luxus einer großen, natürlichen Erweiterung unseres Wellnessbereichs: Der Fuschlsee ist ein plätscherndes, sonnenglänzendes Wunder der Natur! 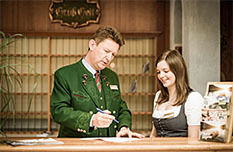 Und: Er liegt Ihnen direkt vor den Hoteltüren zu Füßen. Kosten Sie die Ruhe am Privatstrand in Ihrem Wellnessurlaub am See aus. Das kühle Wasser des Fuschlsee sorgt für erfrischende Abkühlung. 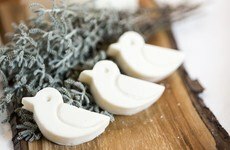 Der Vorteil des hoteleigenen Badestrands: Sie genießen angenehme Privatsphäre, in der Sie relaxen und sich entspannen können. Sie brauchen dringend Erholung, haben aber keinen Urlaub? 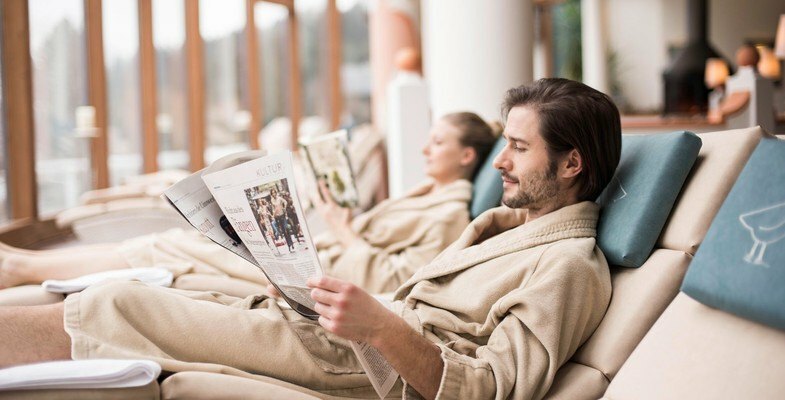 Dann verbringen Sie ein Wellness-Wochenende in Ebner’s Waldhof! 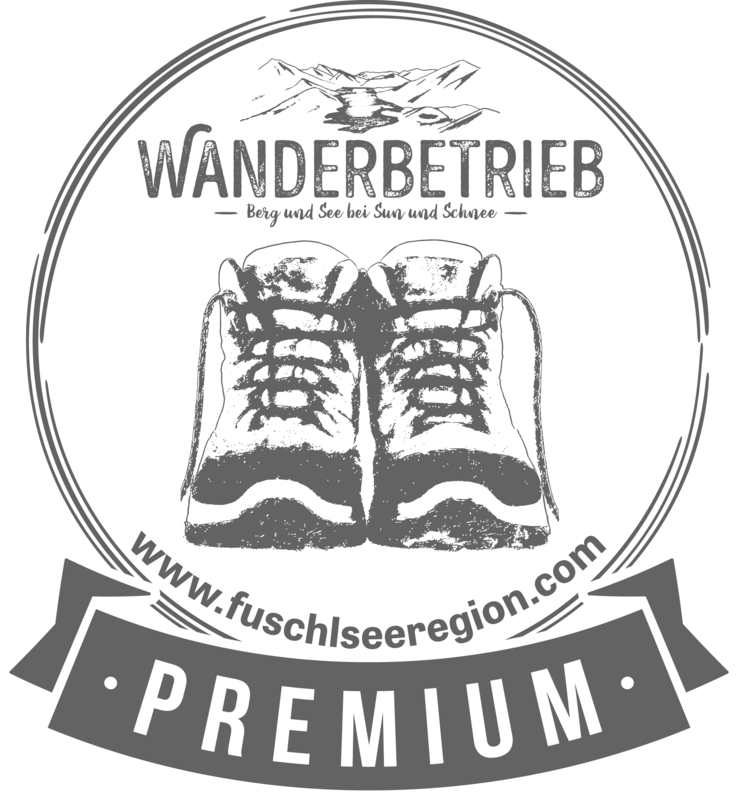 Die herrliche Natur, der verträumte Fuschlsee und die frische Bergluft bieten die besten Voraussetzungen, um Kraft und Energie zu tanken. Die Wellness-Behandlungen im Spa-Bereich sorgen zudem dafür, dass Sie sich rundum wohlfühlen. Senden Sie uns Ihre Buchungsanfrage, sichern Sie sich ein Zimmer zum Wunschtermin und erleben Sie es selbst!